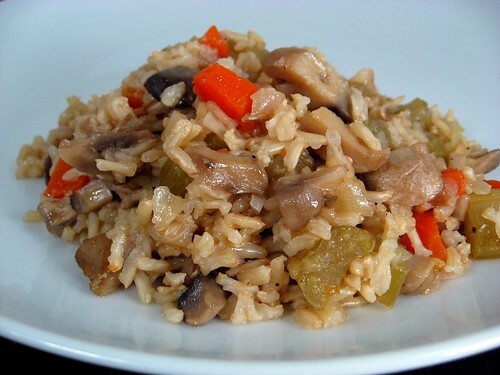 In a 9 x 13 inch baking dish combine white rice, wild rice, brown rice, mushrooms, broccoli, carrots, bell pepper, onion, salt, onion flakes, paprika, black pepper and broth. Mix well; cover. Bake in preheated oven for 30 minutes, or until cooked through; stir once during baking. No comments for: "Baked Rice and Vegetables in Broth Recipe"